The final book in the"New York Times" bestselling trilogy, perfect for fans of Battlestar Gallactica and "Prometheus"
Amy and Elder have finally left the oppressive walls of the spaceship" Godspeed" behind. They're ready to start life afresh--to build a home--on Centauri-Earth, the planet that Amy has traveled 25 trillion miles across the universe to experience. But this new Earth isn't the paradise Amy had been hoping for. There are giant pterodactyl-like birds, purple flowers with mind-numbing toxins, and mysterious, unexplained ruins that hold more secrets than their stone walls first let on. The biggest secret of all? "Godspeed"'s former passengers aren't alone on this planet. And if they're going to stay, they'll have to fight. "Entirely original, deeply compelling, and totally unputdownable--I've found a new favorite " --Carrie Ryan, "New York Times "bestselling author of "The Forest of Hands and Teeth"
"A murder mystery, a budding romance, and a dystopian world gracefully integrated into a sci-fi novel that blows away all expectation." --Melissa Marr, "New York Times" bestselling author of "Wicked Lovely"
"A fast-paced, action-packed follow-up . . . that explores not only the nature of authority and loyalty but fear of the unknown and fulfilling one's personal destiny." --"LA Times. Beth Revis is the author of the "New York Times" bestselling Across the Universe series. 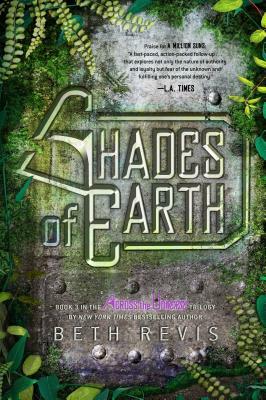 "Shades of Earth," the third book in the trilogy, will be published in Spring 2013. Beth lives in rural North Carolina with her husband and dog, and believes space is nowhere near the final frontier.